Barcelona was founded in 1899 after Hans Kemper placed an ad in the newspaper to find teammates for a new soccer club to which readers responded and formed the first ever Barcelona soccer club. During the early years, newly formed Barcelona Football Club played at a multi use stadium called Camp de la Indústria located in Barcelona, Catalonia, Spain. Camp de la Industria had the capacity of 6,000 spectators. 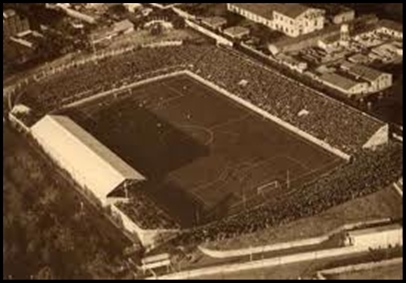 Camp de Les Corts was built in 1922 after the number of Barcelona supporters had surpassed 20,000 members who landed money to make a new stadium that can accommodate the growing fan base of FC Barcelona. Camp de Les Corts is commonly referred to as Les Corts and was located in Barcelona, Catalonia, Spain until demolition in 1966. 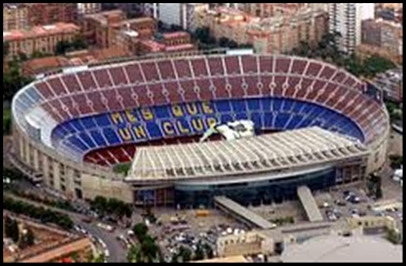 Barcelona President Joan Gamper had a long term plan to provide Barcelona with its own stadium so that the club can earn more revenues from the growing popularity. 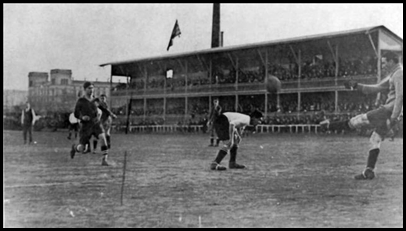 After spending 23 years at a 6,000 capacity Camp de la Indústria stadium, Barcelona changed their home soccer stadium in 1922, moving to newly built Camp de Les Corts which could now accommodate 20,000 spectators. This Barcelona soccer stadium was closed in 1925 for six months after Barcelona fans sang the Spanish National Anthem mockingly and than applauded God Save the King performed by a visiting band. Dictatorship of Primo de Rivera expelled Joan Gamper from Spain and closed down Les Corts for 6 months due to this incident. During the 1920s Barcelona emerged as one of the top clubs in the world with some great players like Alcantara, Sagibarba, Ricardo Zamora, Josep Samitier, and Franz Platko showing their skills at Les Corts Barcelona stadium. Les Corts was expanded several times adding stands on each side of the stadium to increase the capacity of Les Corts to 60,000 spectators by 1950. With the final expansions Les Corts stadium had no more room for expansion but their back to back La Liga titles in 1948 and 1949 drew larger and larger crowds that supported this great club. New plans were made for a new stadium that is Camp Nou. The construction on new Barcelona stadium Camp Nou was started in 1954 and was finished in 1957 due to increasing popularity of the club and no room for extension on their Les Corts soccer stadium. 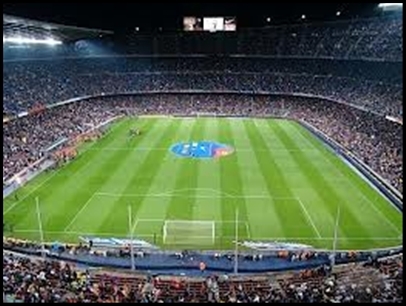 The construction of the stadium was started in front of 60,000 Barcelona fans with a blessing from the Archbishop of Barcelona, Gregorio Modrego while the civil governor of Barcelona, Felipe Acedo Colunga put the first stone in place. 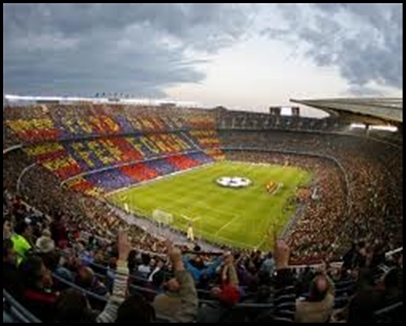 Camp Nou stadium was completed and officially opened on September 24th, 1957 with the capacity of 92,850 spectators. First expansion of the stadium came in 1980 when the stadium added VIP lounges, new press area, new markers and the enlargement of the third tier by 22,150 seats for a total capacity of 115,000 spectators. Money was raised for this expansion by charging a small fee from the fans to inscribe their name on the bricks of the stadium. 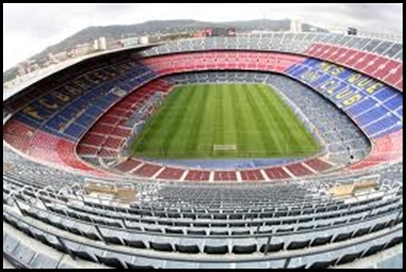 By the 1982 FIFA World Cup, Camp Nou stadium was expanded to accommodate 121,749 spectators. After 1982, Camp Nou stadium saw little change except for the opening of the club museum in 1984. This stadium is also used by the Spanish national team as well as for other soccer events and European competitions. In 1993-94 Barcelona stadium was renovated lowering the pitch 2.5m (8ft) and all seating arrangement was made at the stadium to increase comfort and the visibility to the fans. After all seating arrangement was made stadium capacity went down to 99,354 seats with additional renovations including new press box, renovation of the presidential grandstand and boxes, new parking under the main grandstand, and new lighting and sound systems being completed between 1994 and 1998. Camp Nou was the stadium that hosted the 1999 UEFA Champions League Final where Manchester United played Bayern Munich. Manchester United won 2–1, coming back from 0–1 down in injury time. During the 1998-99 UEFA rated Camp Nou a 5 star stadium for its services and functionality. New facilities that can be found inside Camp Nou today include a memorabilia shop, mini-pitches for training matches, and a chapel for the players. The stadium also houses the second-most visited museum in Catalonia, FC Barcelona Museum, which receives more than 1.2 million visitors per year. There you have a little short history lesson about Barcelona Football Club home stadium Camp Nou. I hope you found this article interesting and that you check out some of my other articles below.